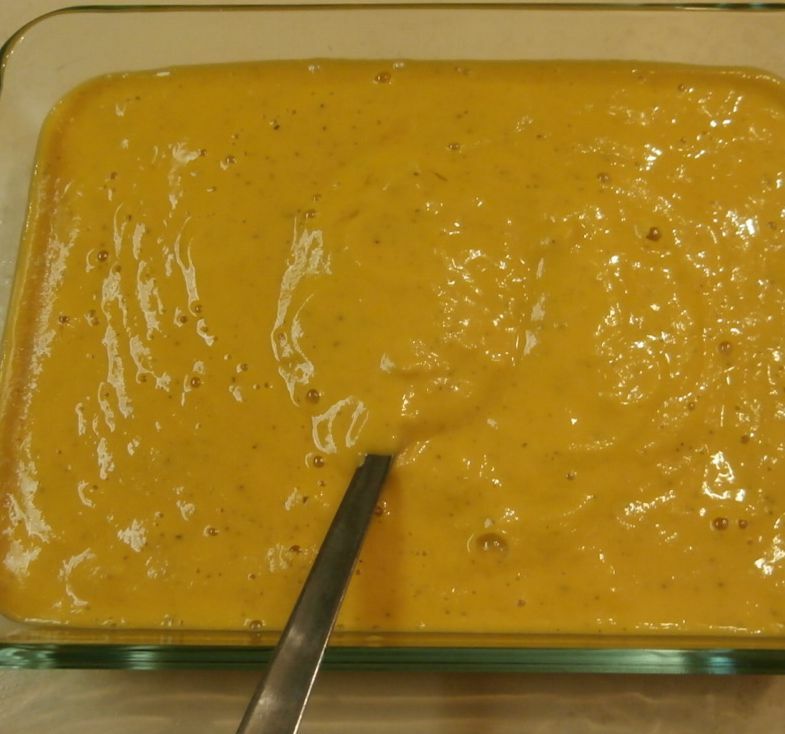 This Carrot Ginger Sauce makes a nice topping for various loaves and veggie burgers. It is bright orange and tastes of ginger and vinegar — it tastes like gourmet ketchup, and can be used anyplace you would use ketchup. This is based on a recipe called Creamy Ginger Dressing from the cookbook Friendly Foods by Brother Ron Pickarski. Friendly Foods was one of the first vegan cookbooks I owned. Brother Ron Pickarski’s recipes are sometimes elaborate — though this one is quick! — and always delicious. Pickarski is a clever and innovative recipe inventor. For example, he makes a gorgeous yellow pastry sauce from cooked yellow bell peppers, and he combines several sauces to make a creamy vegan stroganoff sauce that cannot be beat! I liked reading about how his team went to the Culinary Olympics, and the innovative foods that they cooked there. Usually I make this sauce with raw carrots, but in the picture I used cooked carrots instead. The sauce comes out even creamier that way. Place all ingredients in a blender and blend until the sauce is smooth. It may take several minutes. For a smoother sauce, cook the carrots ahead of time.